This page lists trips sponsored by the Bicycling Committee. To see all trips sponsored by the Boston Chapter, see our search page. To find trips sponsored by other chapters, use the club-wide trip search page. Ramble 42 miles through central MA on quiet county roads. Stops at mile 17, and lunch at mile 31 at Breen's Diner (we need to get there before 2 PM). Route has three hills in the first half of the ride and relatively flat after that. There is a short cut after mile 17 that gets you to lunch seven miles earlier. Rating: Easy-Intermediate. Ride approximately 15 miles on scenic roads. Meet at 5:45 for 6pm departure. Monument Square Concord Center. Helmet required. Rain cancels. Optional dinner after at local restaurant. 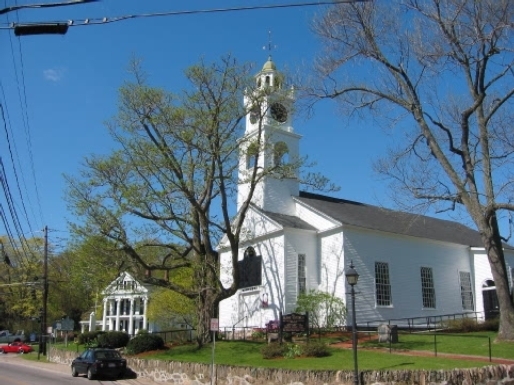 Join us for a fun and beautiful approximately 21-mile ride through Acton, Boxborough, Harvard, and Stow. Rolling terrain. Ride will be split into two groups: intermediate (13-16mph) and easy (10-13mph). Ride leaves promptly at 10:00am, Douglas School parking lot, 21 Elm St. Acton, MA. No advance sign-up necessary. Helmet, water, spare tube, and bike in good working order required. Rain cancels, check this website for a cancellation notice. Please arrive by 9:30 so that you can get your bike ready and participate in the safety talk. Come to Martha's Vineyard for a prime August summer cycling and touring break. 2 days biking, beaching & relaxing. Bike 30 - 33 mi. on Sat. Sun. is shorter ride with a return trip on potential sunset ferryboat cruise. Sign up early! Please register by July 16, 2019. Otherwise, call Registrar. Bike scenic island roads, enjoy beautiful beaches, watch amazing sunsets, practice yoga, and stay at luxurious campground with full service kitchen, modern bathrooms, indoor/outdoor showers, and large multi-purpose room. Must be comfortable riding 12-20 miles per day with hills. $170 includes two nights tent site fee, two breakfasts, Saturday boiled lobster seafood feast, and great company! Parking on mainland and ferry extra (no cars).l But sag wagon will take tents, sleeping bags, and pads; just need to bring your clothing. Join us for 25-50+ mile led road rides over scenic, hilly country roads on both sides of the scenic Taconic Range along NY-Mass border (10-13 mph easy pace, but intermediate hilly terrain). Previous group cycling experience in hilly terrain highly recommended, though not necessary for strong flatland cyclists. $238-$288 per person includes 3 nights lodging in a relaxing country home, 3 breakfasts, 2 happy hours & dinners Saturday & Sunday (meals fit for a foodie!). See "Cost" section below for more information. For more trip details or to register, contact Aldo. Aldo has been a bicycling leader with the AMC Boston Chapter Bicycling Committee for several years. He also enjoys skiing, paddling, and hiking. He is the most recent past chair of the AMC Boston Chapter Ski Committee. She hikes! She skis! She cycles! She lives large! She loves nature! Buckle your helmet, clip your shoes, turn on your camera, & join us on a tour de force. This is not to rest & relax. Rather, it is to jam pack all the best that Maine has to offer in one weekend: rocky coast, lobster, lighthouses, diners, Bar Harbor, bakeries, Acadia National Park Drive, frigid water dip, & Mt Desert. It will even coincide with Adventure Cycling Association's Bike Your Park Day. 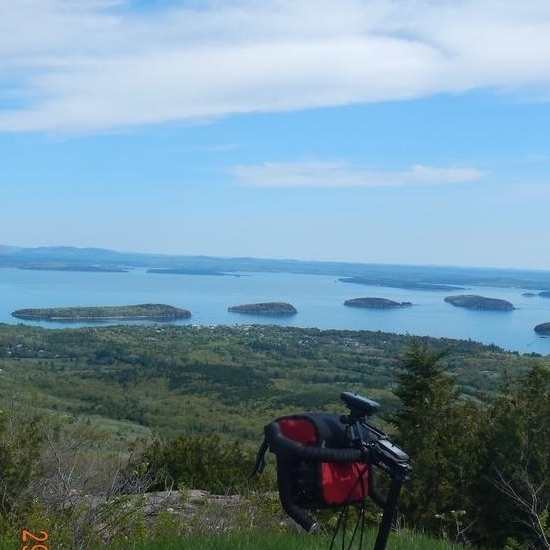 We will celebrate our public lands on Saturday with a ride through Acadia National Park. Mike has been biking since junior high and has been leading rides with the AMC since he moved here in the 1990's. He leads rides from evening rides to local day trips to regional weekends to week long tours in New England and in Tuscany and the Czech Republic for AMCs Adventure Travel Program. Join us for 25-50 mile led road rides over scenic, hilly country roads on both sides of the scenic Taconic Range along NY-Mass border (10-13 mph easy pace, but intermediate hilly terrain). Enjoy the beauty and color of New England's showiest season! Previous group cycling experience in hilly terrain highly recommended, though not necessary for strong flatland cyclists. $238-$288 per person includes 3 nights lodging in a relaxing country home, 3 breakfasts, 2 happy hours & dinners Saturday & Sunday (meals fit for a foodie!). Aldo has been an AMC Boston Chapter bicycling trip leader since 2010. He is also a hiking and skiing leader, and a recent past chair of the AMC Boston Chapter ski committee. Glenn is an AMC NY-NJ Chapter cycling and flatwater paddling leader, and also leads cycling trips for the Bicycle Touring Club of North Jersey (BTCNJ).